Al Kamandjâti was created in 2002. 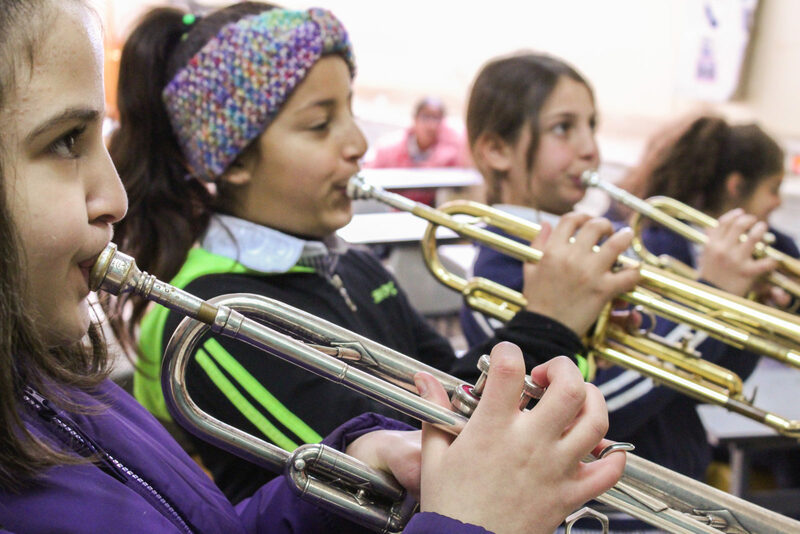 The organisation supports the education and upbringing of Palestinian children by facilitating their access to music, especially for those who live in refugee camps and villages in Palestine and Lebanon. More than 600 children follow musical education there. Music Fund has been a partner of Al Kamandjâti since 2005. To date, the organisation has received more than 500 instruments from Music Fund. We have also trained a repair technician in wind-instrument techniques and a piano tuner and we have supplied the equipment for a musical instrument repair workshop. In 2017, Music Fund donated 150 instruments (notably one grand piano, cellos, violins and wind instruments) and organised a local training session on guitar and wind-instrument repair techniques. Plans for the future: Al Kamandjâti recently opened a new school in Jenin to be able to accomodate the rising number of students. The need for instruments and repair technicians has of course become more important as well. We aim at providing them with about a hundred instruments during the 2018-2020 period and at delivering a basic training on repair techniques for wind instruments and guitars and on piano tuning techniques to about ten people. 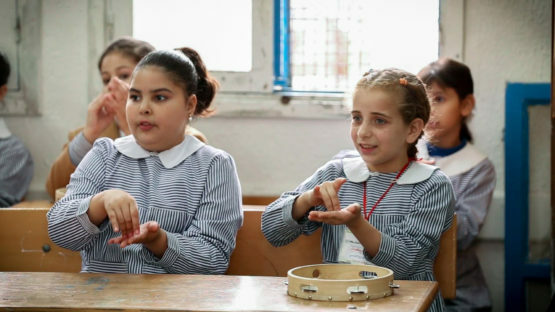 Having noted that the Jewish and Arab populations living in Israel communicate and interact less and less with each other, and that they both speak their own language, Polyphony tries to bring together the children and teenagers from these two communities through music. They do this by organising the setting up of orchestras, ensembles and music education. Polyphony has already been in touch with 25,000 children in Israel and is one of the most active music programs of the country. In 2017, Music Fund donated 15 instruments (mainly wind instruments) in order to help to set up a brass band. Also in 2018 we continued our support for this program through instrument donations. UNRWA is an organisation from the United nations that cares for Palestinian refugees. 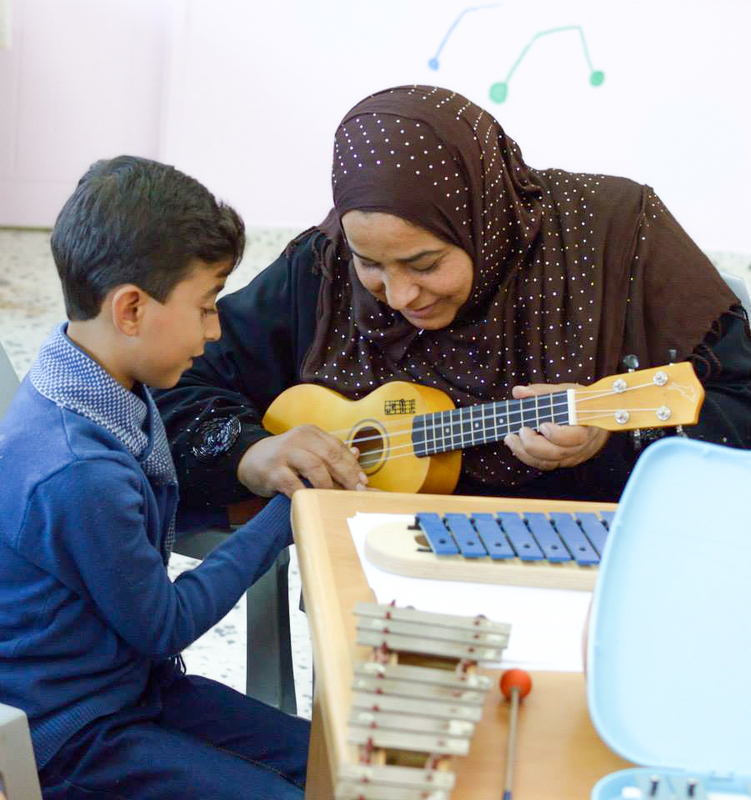 At UNRWA’s request, Music Fund has developed a three-year training program for teachers working in the elementary schools of Gaza. This program focuses on music as a learning tool for daily lessons. In refugee camps, it is not common for children to be in touch with music. From the beginning of the project in 2013, Music Fund has put musical instruments at the disposal of teachers who have been trained. 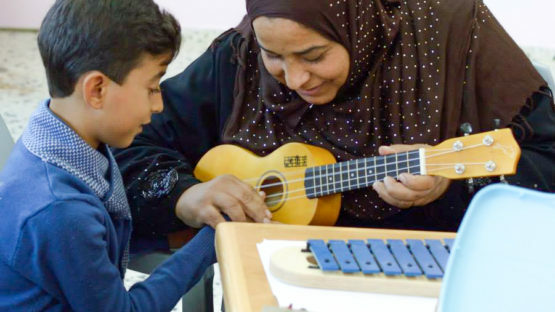 Music Fund is active in various fields in the Gaza strip, with four groups of about 15 teachers each. In total, more than 60 teachers took part in the program (9-month local training, spread over three years). In 2017, Music Fund invited Anwar Yahia, an arts teacher for a 2-month internship in Europe. In 2018, we invited Yahia and his colleague Mona Sorour to Europe, so they can share their knowledge with their colleagues in Gaza afterwards.